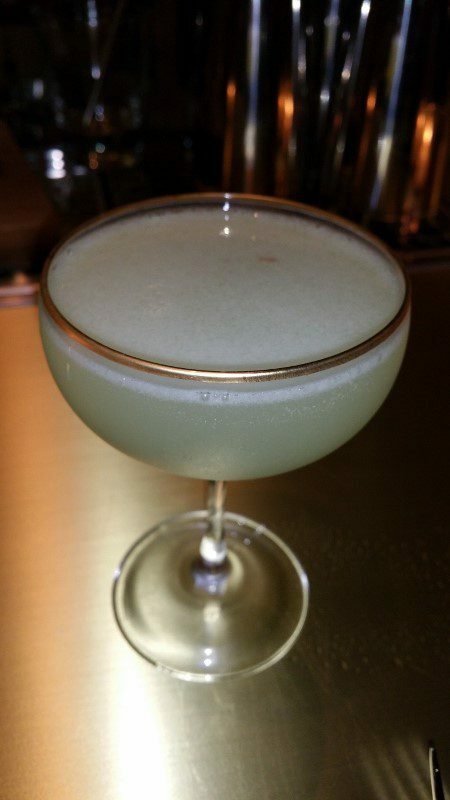 Is Santa Monica the new drinking and dining destination in Los Angeles? It’s definitely one of them, especially along Wilshire Blvd. First Brilliantshine and Chestnut Club opened last year. 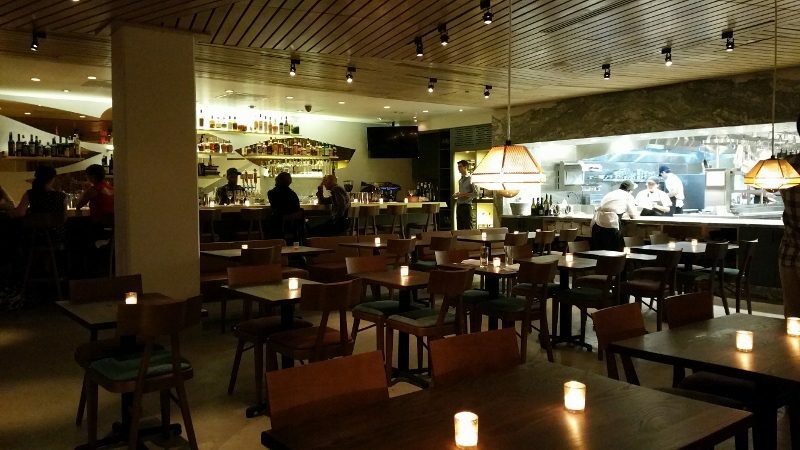 Then Cadet and Tacoteca opened just before the holidays and now Aestus opened just after the new year. 2015 in Santa Monica is off to a great start. 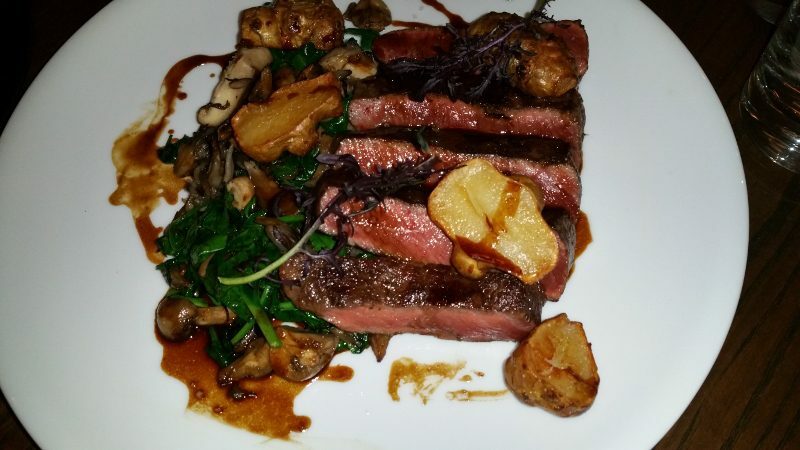 Aestus is owned by Kevin O’Connor, who also acts as the restaurant’s sommelier. Former Spago wine director, Kevin is also co-owner of Lioco Winery. He selected the name Aestus, which is a Latin word that means heat, fire, tide, the surge of the sea, because it just seemed to perfectly represent what they are doing. Aestus is about expressing passion through food, wine and drinks. Located on the ground floor of the Arezzo residental builidng on Wilshire Blvd, between 5th and 6th streets, Aestus is a large open mid-century modern space. There is a 15-seat brass bar when you first walk in and a 60-seat dining room. And, from everywhere in low-lit room, you can see the brightly lit open kitchen where Chef Alex Ageneau is at the helm. Chef Alex Ageneau, formerly of Patina and The Royce at Pasadena’s Langham Hotel, is from the Loire Valley in France. He has created a seasonal New American menu with both French and Italian influences. There are selections for the table to share, such as fried smelts + crudites with ‘sea’ sar dressing and bottarga or a charcuterie board. We enjoyed the house ricotta with shishito peppers and toast. 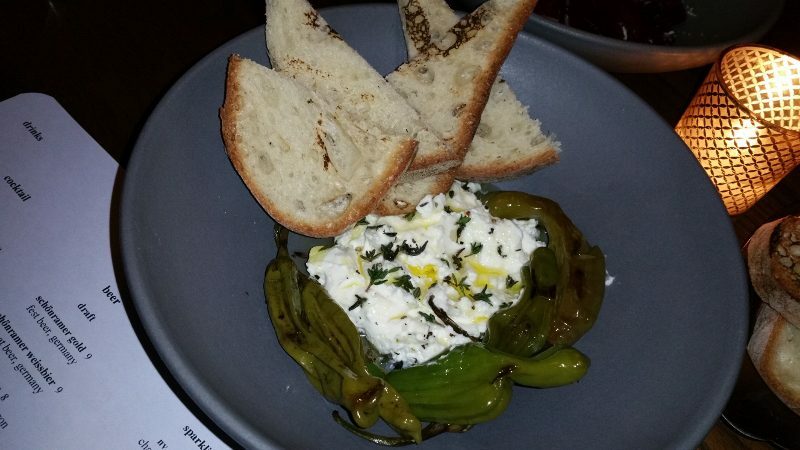 I can never say no to fresh ricotta but had never paired it with shishito peppers. I always seem to pick the one (out of 10) spicy shishito peppers and the creamy cheese was a nice contrast. The menu has a selection of small plates such as roasted carrots + goat cheese, grilled octopus salad and cauliflower brandade. 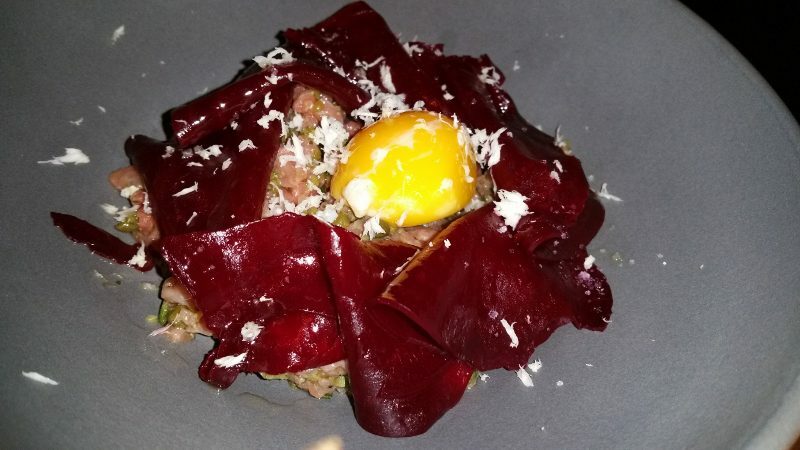 We ordered the beef tartare which was served with ribbons of smoked beets on top, shaved horseradish and a semi-hard egg yolk in the center. The main dishes on the menu include john dory, ricotta tortelloni in a parmesan brodo, braised pork belly, farrotto and fire roasted chicken. 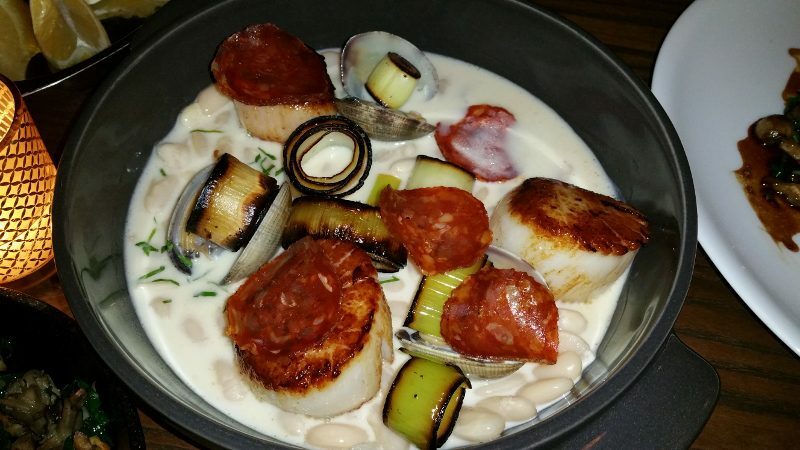 We selected the Scallops ‘a la plancha’ with cannellini beans, clams and chorizo and grass fed beef flat iron steak with sunchokes, spinach and mushrooms. The scallops were perfectly cooked, almost melting in the mouth. The chorizo was thinly sliced and added just a hint of spice. The grass fed flat iron steak was prepared on a wood-burning grill and was so full of flavor. 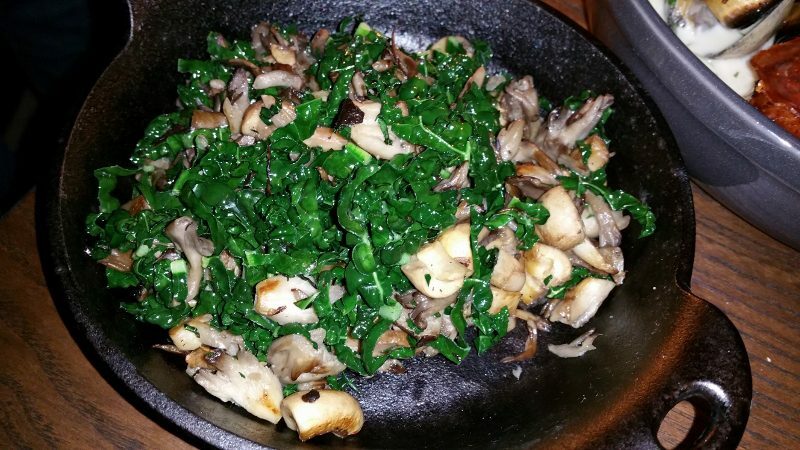 For a side, we ordered the mushrooms and kale fricassee. With our food, we had drinks as well. We started at the bar with cocktails from the classically driven menu created by Marissa Grasmick (previously at The Varnish). 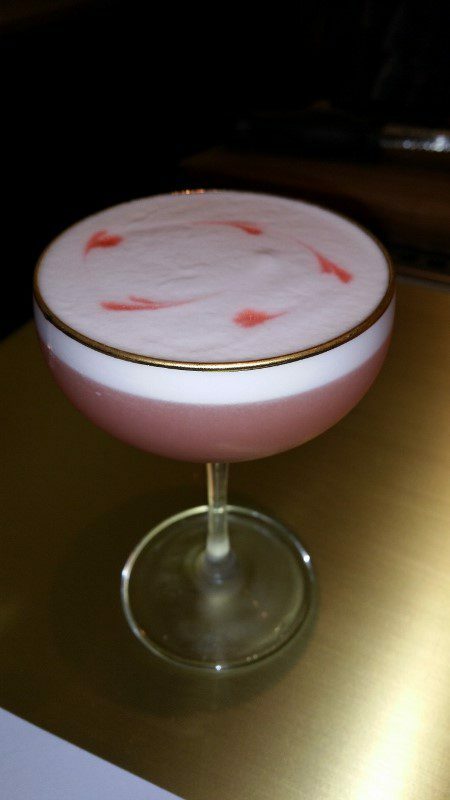 I ordered the Pink Lady with gin, apple brandy, grenadine, egg white and lemon and my friend ordered the Pedro’s Word with mezcal, lime juice, green chartreuse and maraschino. The drinks were well balanced and beautifully presented. If I had one critique, it would be the pricing of the Pedro’s Word. All of the cocktails are $9-$14, which are very well priced, except for Pedro’s Word, which is $17. This price is a bit excessive for a drink. As we moved onto the food, we enjoyed glasses from the “by the glass” menu. With French, Italian and California selections from boutique producers, this menu offers a lot of wonderful food pairing wines. 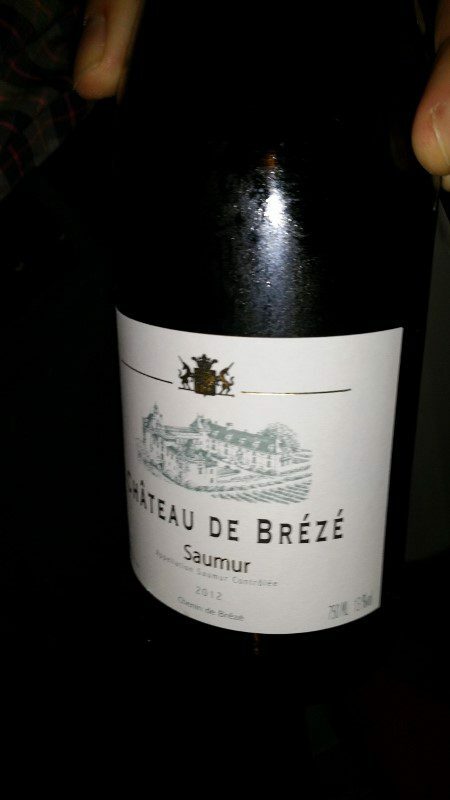 The crisp, elegant 2012 Chateau de Breze Saumur Blanc and the 2006 Chateau de la Marandiere Muscadet Vielle Vignes were beautiful with the ricotta, tartare and scallops. 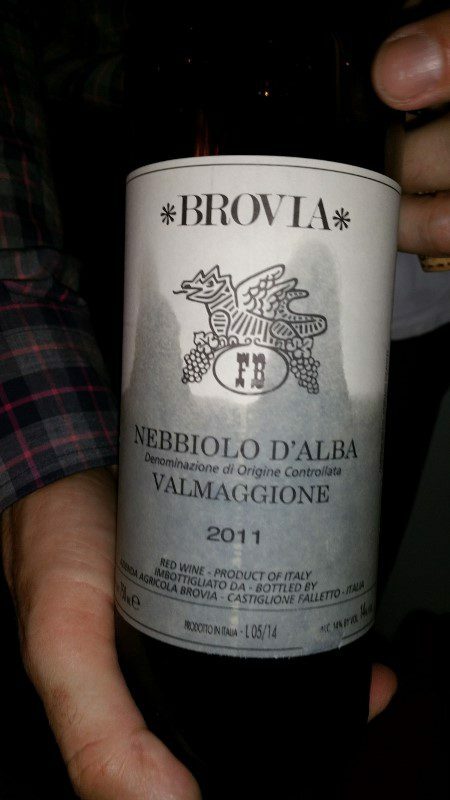 And, when we moved to the meat course, the 2011 Brovia Nebbiolo d’Alba was exquisite. It had just enough fruit, earthiness and acidity to bring out the sweet notes of the meat. 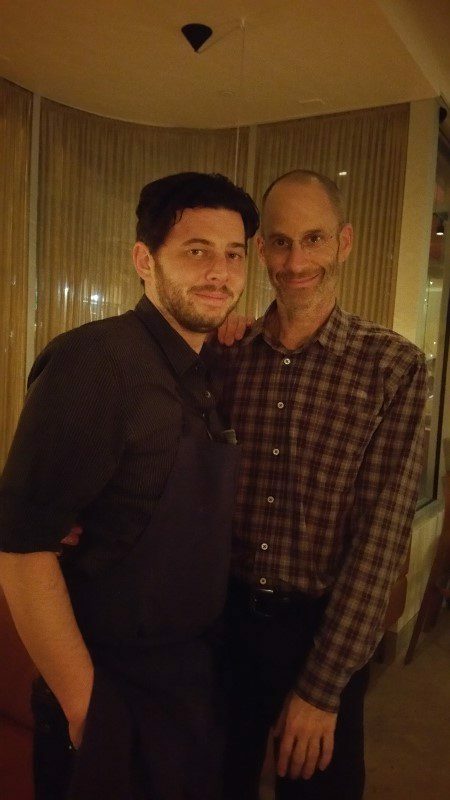 Aestus is a welcome addition to Santa Monica and I will be heading back to try more of the small plates and wines by the glass very soon! This entry was posted in Cocktails, Food, Wine and tagged Aestus, Aestus Restaurant, Chef Alex Ageneau, cocktail, food, Kevin O'Connor, Marissa Grasmick, restaurant, Santa Monica, Wilshire Blvd, Wine by Allison Levine.